Cooking does not excite me because I don’t like spending time in the kitchen. I prefer quick recipes and meals. But, I’m open to learning how to cook meals that I grew up indulging in because I want to share them with my son. I was pleased to find this cookbook because it has loads of township delicacy recipes that my mother used to make for me as a child. Some of those that grabbed my attention are mageu, makipkip as well as gnocchi with Parmesan crème, wild mushroom and pinotage ice cream. The book also breaks down the fancy terms of cooking and simplifies them. Most of the recipes in the book are technical; definitely not for a person like me who wants quick and easy meals. But, I’m eager to try them out because the pictures look appetising. Apart from the recipes, the book tells a beautiful story of LesDaChef’s journey with food. It also has a lot of stunning pictures of Soweto, the township he grew up in. Additionally, the cooking tips and wine-pairing information come in handy. Because of this, I’ll be hosting dinner parties to show off my new cooking skills. 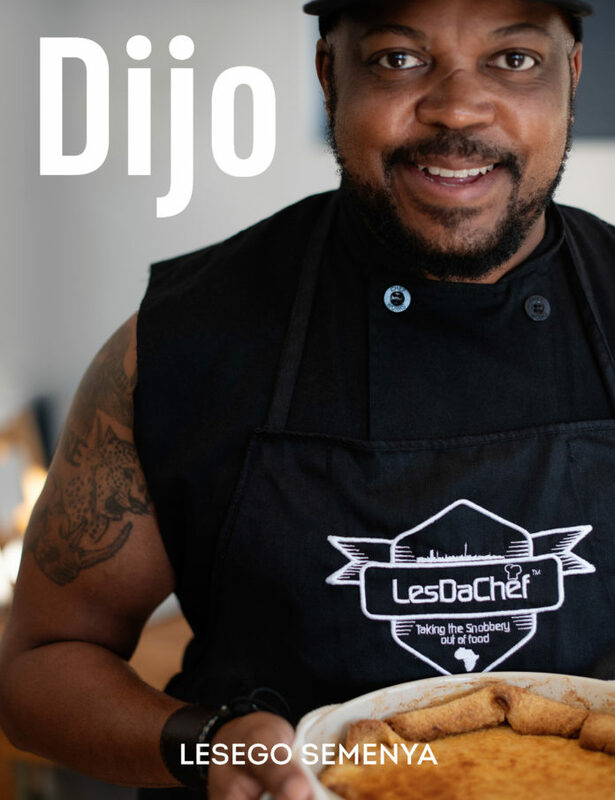 Dijo: My Food, My Journey is a must-have for every South African kitchen.